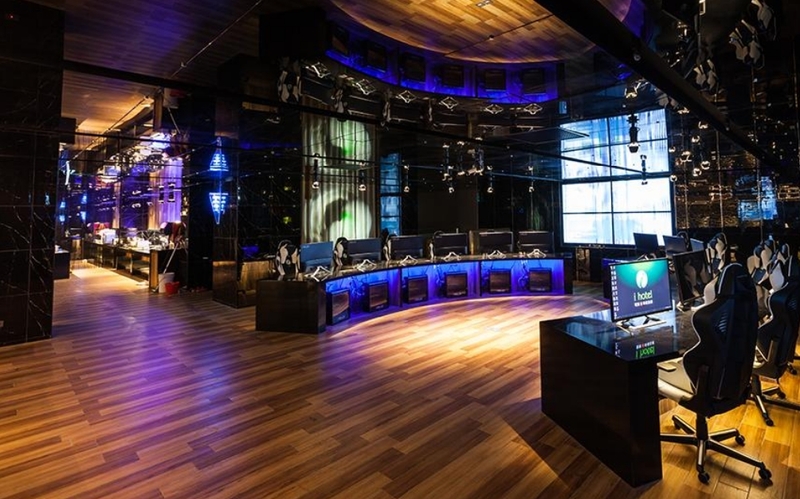 Each room is equipped with two PCs racing machine to gratify the passions of the fiercest Gamers. 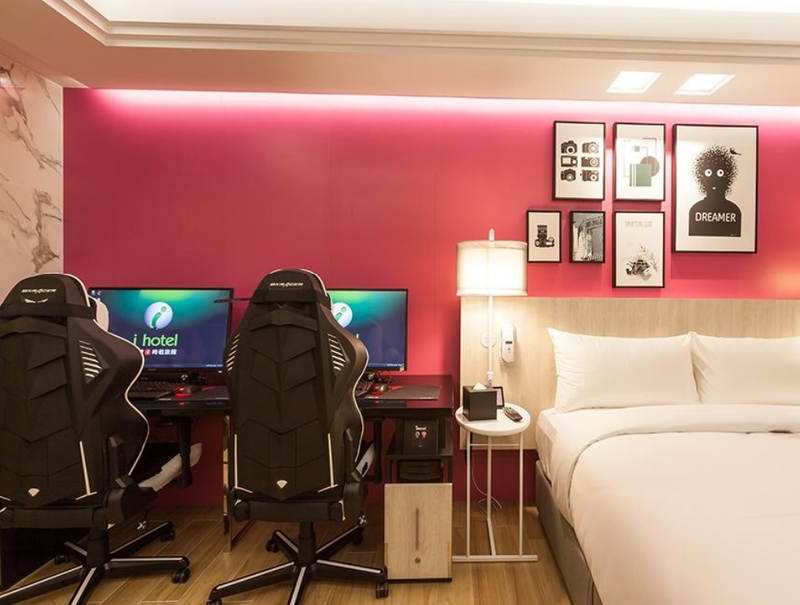 Once you arrive in Taoyuan the iHotel near the capital, you will pay 100 $ per night unless you choose an hourly package at 12 $. Like any good 5 star hotel, you will appreciate the comfort and space of a king size bed, mini bar, spacious bathroom, the latest flat screen. 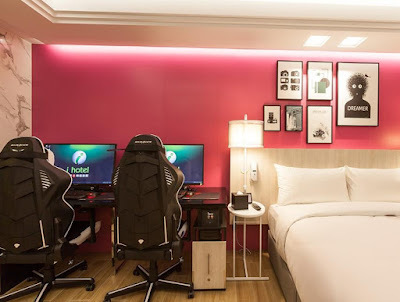 But if you have arrived in this place, it is especially for the two PC ASUS ROG with graphics NVIDIA GTX 1080 TI, the 32-inch screens, the DX Racer seats scratched by Ferrari. You can also play in your room together or against each other until the end of the night. However, if you are missing the company and you want to compete with others, there are several spaces filled with the same accessories to deliver great eSport competitions.